No Tiger. No Phil. No youngest in Jordan Spieth to win the Masters. 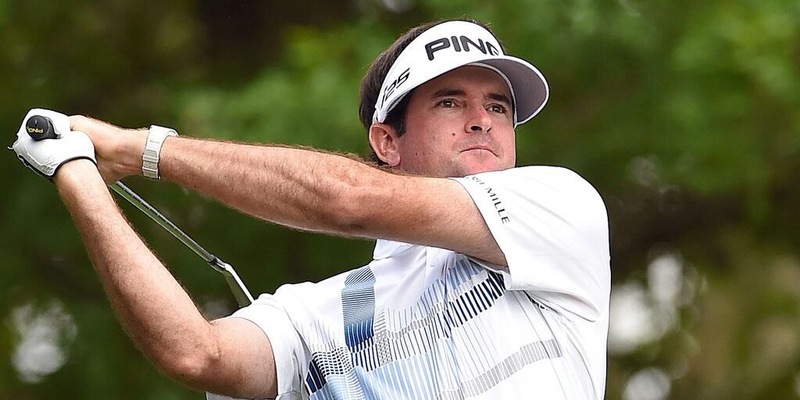 Bubba Watson did just fine. Watson shot a final-round 69, finishing at 8-under par for the tournament to win the 2014 Masters, his second green jacket in the last three years. Only eight other players have won two Masters in such a short span including Tiger Woods, Phil Mickelson and Jack Nicklaus. In the final pairings, Spieth and Watson were showmen for the patrons who paid less this year than last. Sunday’s Masters badge costs about $400. Last year at this time you couldn’t get it less than $2,000. Watson’s second shot on the par-5 15th hole was priceless. The shot was scary between the trees and over the water. His decision to let it rip showed no fear. “I told my caddie coming up 18 I don’t remember the last few holes, I just remember hanging on,” Watson stated. He would par the hole and take a three-stroke lead to 16. The champion has come from the final pairing in 19 of last 23 years. At 20 years young, Jordan Spieth fell short of making history as the youngest to wear the green jacket. Spieth entered the final round tied with Watson for the lead. Spieth’s game was mind-blowing through seven holes leading by two shots at 8-under, with Watson breathing down his back at 6-under. Then things changed on the 8th and 9th holes. Spieth missed makeable par putts on the 8th and 9th, while Watson saw feathers with birdies on both holes. The names changed on the leaderboard as they both approached the 16th with Watson taking the lead and Spieth trying to keep his head above water. “The day was so much fun as I was taking it all in. It stings for now, I am anxious and can’t wait to be back,” Spieth stated. Sizing for the green jacket ended at the par-4 17th hole as he left his second shot on the grass ending completely right of the hole behind the gallery. Spieth would par the hole, and bogey 18, for a final-round 72, 5-under for the tournament tying him for second with Sweden’s Jonas Blixt, who shot a final-round 71. Watson uses a pink-shafted driver. Color should not matter. Watson’s tee shot on 16 was lovely (Beyonce voice). For the sixth time in the last 12 years, a left-hander won the green jacket. Mike Weir won it once and Phil Mickelson three times in addition to Watson. No lefty had won the Masters in the first 66 years of the tournament. Pressure does burst pipes. Spieth’s tee shot on the par-3 12th hole 155 yards away went for a swim. At age 20 he would have been the youngest to win a major championship since Tom Creavy at the 1931 PGA Championship, and the first since Fuzzy Zoeller in 1979 to capture the Masters in his first attempt. Spieth was 3-over par with no birdies on the last 11 holes. Watson became the first player to win his second Masters in six attempts since Arnold Palmer in 1960 and the 17th player with multiple Masters victories. Two years ago, Watson won in a sudden-death playoff over Louis Oosthuizen with a “cray” shot from the trees on the 10th hole. This year he had 1,620,000 reasons to walk to the 18th hole with confidence. The prize money is a raise after three straight years at $1.44M. The hole is also where you pulled out the Kleenex. After sinking the winning putt, Watson’s adopted son Caleb awaited him on the green. “I see myself as a role model for my son. Not as a golfer but as the man I am,” the native from tiny Bagdad, Florida stated. Watson’s career earnings after his second Masters win is $23.84 million and counting. With Caleb in one arm and a kiss from wife Angie, the scene of Watson giving high fives to hundreds of screaming patrons on the way to Butler Cabin is a tradition unlike any other.